Currently there are four (4) major crude oil pipeline projects under review for transporting petroleum liquids within Canada. These projects will meet domestic demand and enable Canada to export additional oil products to the U.S.A., open more Asian markets and most recently increase access to European markets. Cost to construct the pipeline is now $8 billion. The construction is joining the proposed Canadian northern leg to the already operating southern U.S.A. line. The project has been under review by the Obama administration for at least 5 years. Millions have been invested to-date to address the concerns in the review process. Decision on the cross border section from Canada to the U.S.A. is imminent due to recent election results in Washington, D.C. Submitted for the approval process on 2 lines to transport diluted crude oil from Fort McMurray to Kitimat, B.C. destined for Asian markets. One pipeline will transport 525k bbls crude oil per day, the 2nd @ 193k bbls natural gas condensate per day. 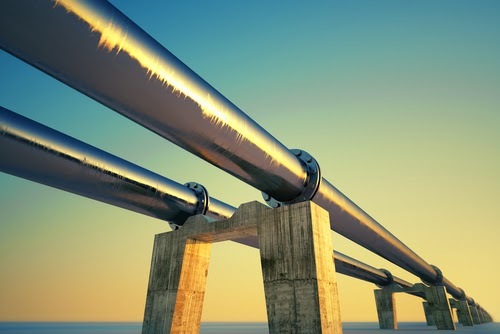 The pipeline is a reversed flow pipeline proposed to carry 1.1 million bbls of crude oil from Alberta & Saskatchewan to the Canadian central & east coast for further refining. Three new terminals are be built on the route in Saskatchewan, Quebec, and New Brunswick. New pump stations, tank terminals, and marine facilities are also slated for the construction. The refined product will be available to the eastern provinces, plus export to the eastern U.S.A. and especially to European markets. Formerly known as TransMountain Pipelines, Kinder Morgan has submitted for approval their increasing capacity from 300k bbls per day to approximately 900k bbls/ day from Alberta to Vancouver B.C, area. The final destination is to the current marine terminal for export. Utilizing the standards of several worldwide associations, primarily API and ISO, ensures that the manufactured & supplied equipment will be consistent in quality for the end user performance criteria, regardless of where the products are sourced. The Canadian domestic pipeline operations & ongoing expansions will continue to provide strong opportunities for the Power Transmission Industry for a variety of rotating equipment. Large & small rotating equipment packages will be purchased & operated in all of these major and peripheral projects. Manufacturers will supply initial engineered product, then together with distribution they will work for the operators in supplying spares & technical expertise. MRO components will increase through daily operation and support operators in case of system upset or through their scheduled maintenance programs. The current industry trend is to minimize operators’ cost by passing all responsibilities direct to manufacturers for after sales product & service. Although the reason given by the manufacturers to expand their offerings is to provide value added services & be cost competitive this is a slippery slope when they are directly involved supplying daily product or ongoing maintenance beyond their equipment. Distribution, working with their manufacturers, has developed inventory & service programs to meet the pipeline operators’ daily requirements. Distribution is “geared ‘to react to the pipeline daily demands, during scheduled shutdowns or even during system upset conditions. Distribution, through its network of clients, can also strengthen or establish programs for product and technical support to meet the operators' ongoing requirements. For the Power Transmission Industry the future appears to be strong, aggressive and competitive.